The 2018 Toyota Avalon has it all. This sporty sedan comes with a sleek, athletic exterior, a powerful engine, and a tuned suspension—each of which works to make driving more thrilling. Nevertheless, the Avalon also has an eco-friendly hybrid powertrain option to help you go green. There’s nothing quite like the Avalon. Don’t sacrifice power and innovation for affordability—get the new Toyota Avalon today. The 2018 Toyota Avalon has eight trims: XLE, XLE Plus, XLE Premium, Touring, Limited, Hybrid XLE Plus, Hybrid XLE Premium, and Hybrid Limited. Designed to keep you better connected, the Avalon has several new technologies. For example, the standard Entune™ Audio system comes with a connected navigation app and a seven-inch high-resolution touchscreen. Other features include USB connectivity, Bluetooth®, Siri® Eyes Free, and an integrated backup camera. Available features on upper-level trims include Gracenote® and HD predictive traffic and weather, Premium JBL® audio, and up to 11 GreenEdge® speakers with subwoofers. Safety is always important. The Avalon comes with the innovative Star Safety System that includes Vehicle Stability Control, Traction Control, Anti-lock Brake System, Electronic Brake-force Distribution, Brake Assist, and Smart Stop Technology. There are also several airbags, LATCH seating, an anti-theft system, and standard Toyota Safety Sense™. Safety Sense comes with a pre-collision system, Lane Departure Warning, Auto High Beams, and a Dynamic Radar Cruise Control, each of which makes driving truly safe. Stop by Cain Toyota to learn more about the 2018 Toyota Avalon. Standard safety innovations are helping to lower the risk of accidents, while features like Entune™ help to keep you entertained behind the wheel. Plus, with a bold new look and tons of power under the hood, it’s easy to see why so many have chosen the Toyota Avalon. Plan your test drive today. Drive in style with the new 2018 Toyota Avalon. You can choose between eight trims, nine colors, and multiple powertrain options. Want improved fuel economy? Check out the hybrid options. Want a premium interior? Consider the Limited trim. You can find unparalleled connectivity, exclusive amenities, and up to an EPA-estimated rating of 40 mpg combined* when you choose the new Toyota Avalon. The 2018 Toyota Avalon is offered in eight trim levels: XLE, XLE Plus, XLE Premium, Touring, Limited, Hybrid XLE Plus, Hybrid XLE Premium, and Hybrid Limited. The 2018 Toyota Avalon has a low stance, sleek lines, and sharp contours. The exterior doesn’t just look pretty; it’s also made to be more aerodynamic than previous models. The Avalon also has smart new systems like the standard Toyota Safety Sense™ P (TSS-P) to keep you safe behind the wheel, including technologies like Pedestrian Detection, Pre-Collision, and automatic high beams. With the latest in tech and design, the Toyota Avalon is ideal for most drivers. 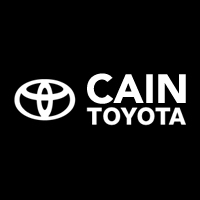 Don’t wait—test drive the Toyota Avalon today at Cain Toyota. *2018 EPA-estimated city/highway mileage. Actual mileage will vary.